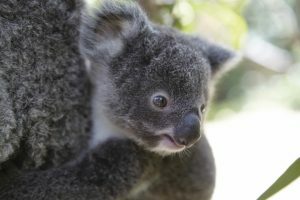 Often referred to as koala “bears” they are not bears at all but rather marsupials. These cuddly, gentle creatures live in Eastern Australia rarely leaving their beloved eucalyptus trees. When not nuzzled up in the crook of a gumtree sleeping for up to 18 hours a day, these adorable creatures get their nutrition and moisture from the two and a half pounds of gum leaves eaten each day. Younger females give birth to one offspring per year while older females only reproduce every two or three years. After giving birth, Joeys (baby koalas) while blind and furless, measuring only 2 inches long, make the extraordinary journey to the mother’s pouch. From the safety of its mother’s pouch a Joey drinks milk for 6-7 months until it can tolerate the delicacy of koalas’ favorite food, gum leaves. When you think of Australia you may naturally think of our iconic kangaroo. Belonging to the Macropus family that literally means “big foot” these nocturnal, timid creatures make their homes in Eastern Australia. Possessing very powerful hind legs and large feet kangaroos can leap 30 feet in a single bound and run more than 30 miles per hour. 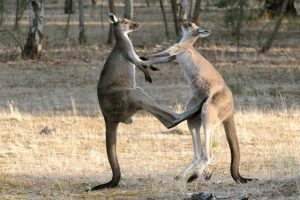 If threatened kangaroos pound their feet as a warning to predators. They use their tail as a means of balance giving them the ability to station themselves while boxing with their front legs and to raise up their hind legs delivering powerful thrusts. While most people know that baby kangaroos (Joeys) are cradled safely in their mother’s pouch many don’t know that if the mother feels in danger she will throw her joey out of the pouch to provide a chance to for it to survive. Did you know that kangaroo mothers produce two types of milk, one for a newborn and one for the baby as it grows? Females also have the remarkable ability to shut down their reproductive system completely in times of drought. When the joey is about 4 months old it will leave its mother’s pouch making short outings to graze on grass and shrubs. Around 10 months the joey is mature enough to leave its mother’s pouch to head out into the world. 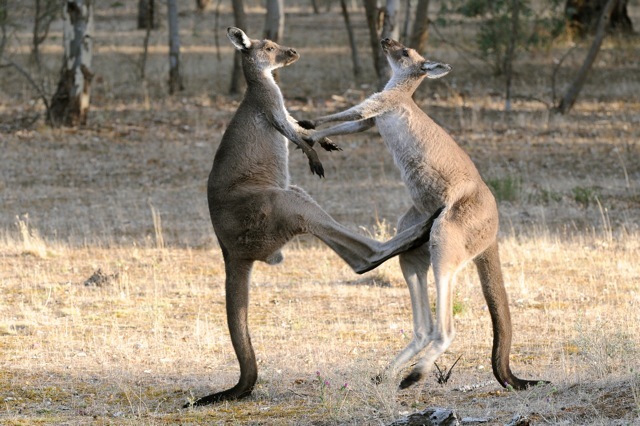 Kangaroos have few natural threats other than dingos (wild dogs) and humans. 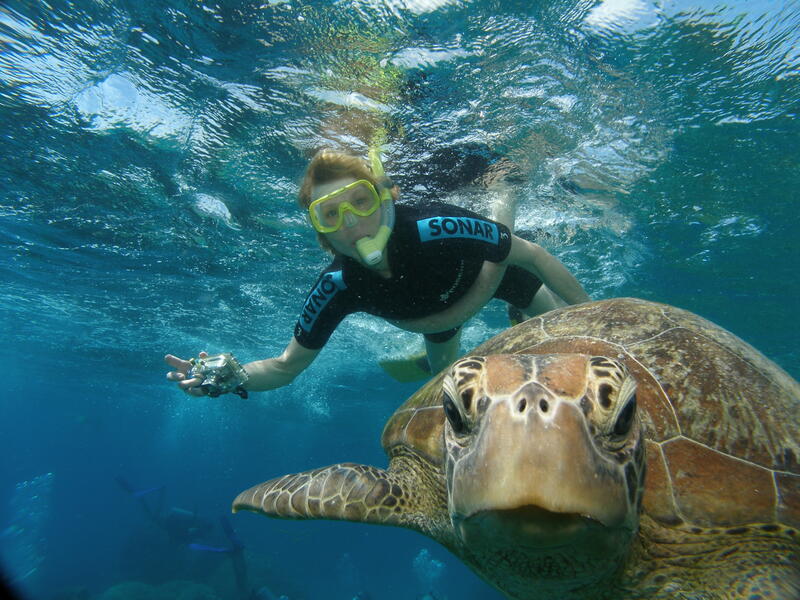 Say good day mate as you swim alongside one of the graceful marine turtles who have existed in the ocean for over 100 million years. Australia’s Great Barrier Reef is home to six of the world’s seven species of marine turtles. Some like the green turtle are seen frequently while others known to live in the GBR are seldom observed. Known to migrate long distances between their feeding grounds and nesting sites, marine turtles can be observed throughout the year, but are most active during the summer months as they prepare to breed. Sadly, all marine turtles face serious threats of becoming endangered mostly due to pollution and significant changes made to the turtles habitat. 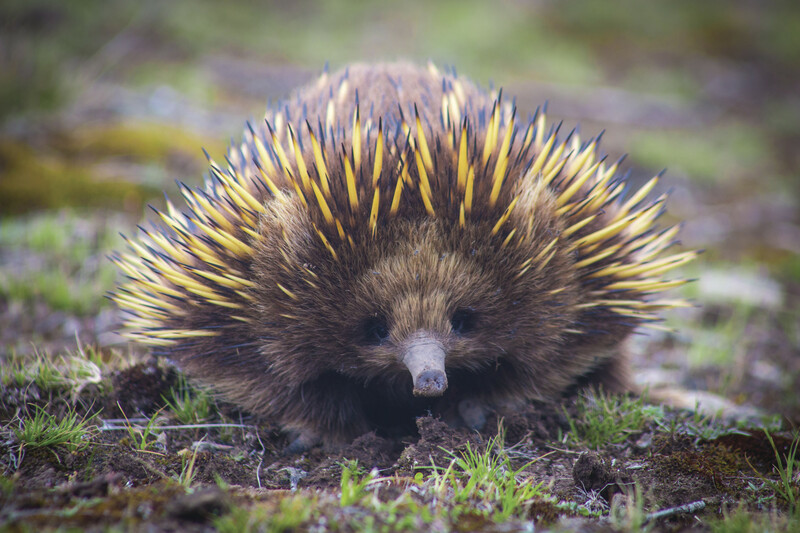 Meet Australia’s most widespread native mammal, the Echidna. Although this adorable creature looks like a cross between a hedgehog and an anteater and is sometimes referred to as a spiny anteater because of his sharp spines and diet of ants, he is not related to either. He actually has most in common with the duck billed platypus. 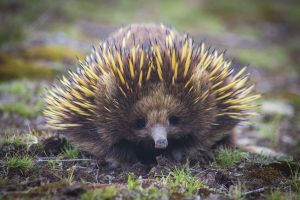 Found throughout Australia in almost all habitats from snow covered mountains to deserts and even in the inner city, Echidna’s are mostly observed in rural settings. Using his keen sense of smell the Echidna can sense insects and their movement then uses his stiff hairless snout to break up termite mounds catching prey with his long sticky tongue grinding food between his tongue and the bottom of his mouth as he has no teeth. 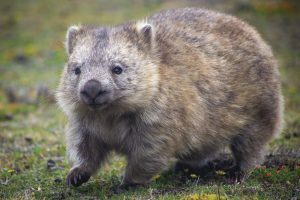 Although his spikes do make him look intimidating he is truly a shy mammal, but if threatened will use those spiny sharp hairs as a defense curling into a ball using the spines to protect his body from predators. 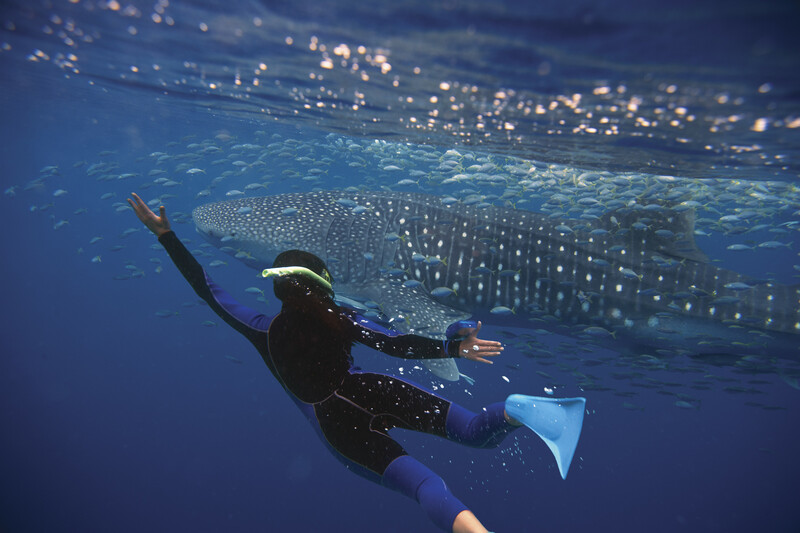 While in Australia visit Ningaloo Reef where you can swim with the world’s largest fish, the whale shark. Despite their enormous size and gaping jaws, whale sharks are docile filter feeders who swim close to the surface consuming copious quantities of plankton, krill and other small organisms. 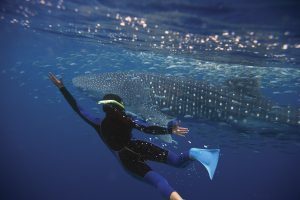 Every year between March and August/September whale sharks migrate to Ningaloo Marine Park, a World Heritage Site, to indulge on the mass spawning of coral providing an abundance of feeding opportunities. Making this one of the few places on the planet where these gorgeous creatures appear regularly.